When you have created a workspace and more tables are added, then the Import tool is the one to use. However, when the schema of an existing table has changed, then the update tool is the one to use. 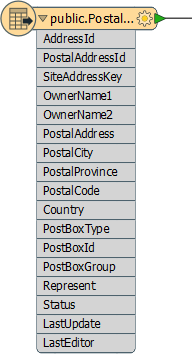 The database administrator decides that the three PostBox attributes are no longer required and removes them from the database table. 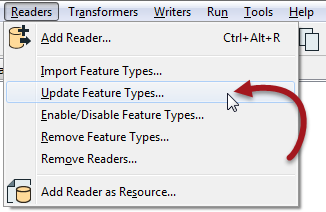 To fix my FME workspace to match, I would use the Update Feature Types tool. Let&apos;s see if you can figure out which tool should be used in which scenario? Here are four scenarios and four tools or settings. Connect the scenario to the correct tool/setting.